On November 27 and 28, 2018, Pavilion USA 2020, in partnership with the U.S.-U.A.E. Business Council, AmCham Abu Dhabi, and AmCham Dubai, launched a two-day ceremony in Dubai and Abu Dhabi to unveil the initial plans for the U.S. Pavilion building and its experiences, which will showcase the future of mobility under the theme: “What Moves You? The Spirit of Mobility“. Pavilion USA 2020, the partnership responsible for the United States’ National Pavilion, has been making important headway in the design and planning of the landmark building destined to represent more than 325 million Americans. On November 27, Consul General Philip Frayne, U.S. Consulate General in Dubai, hosted an evening reception at his residence that included prominent members of the Dubai-based U.S. business community, U.S. government officials, Expo 2020 Dubai officials, and Pavilion USA 2020’s official partners, Virgin Hyperloop One and PepsiCo. 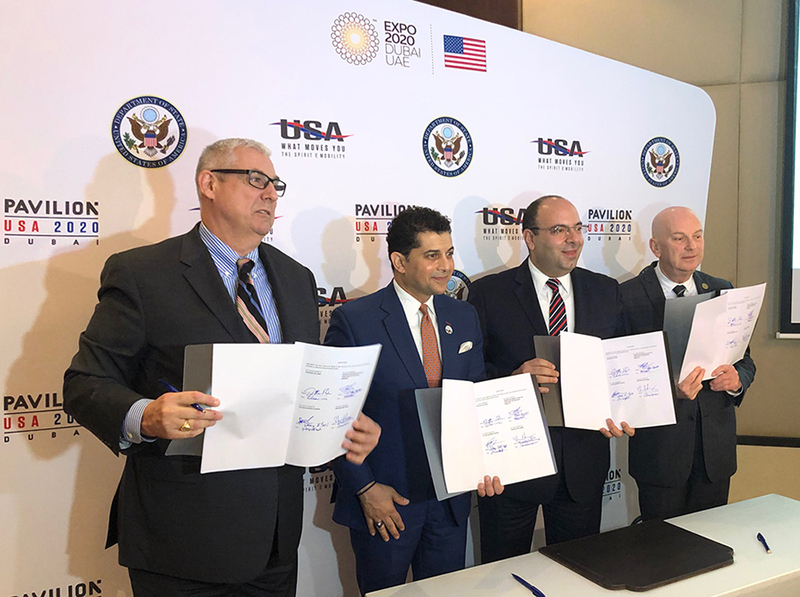 Pavilion USA 2020 kicked off the second day of the event with a signing ceremony of a Memorandum of Understanding (MoU), the first-of-its kind agreement between Pavilion USA 2020, U.S.-U.A.E. 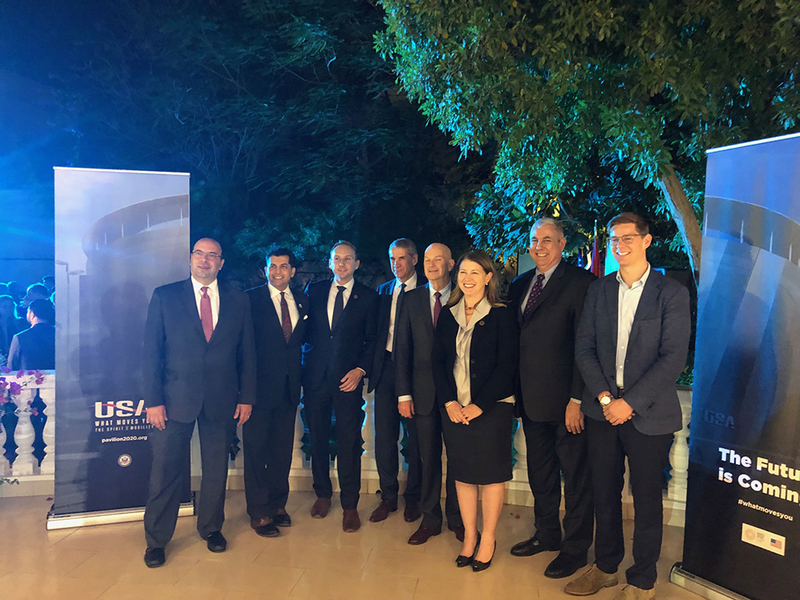 Business Council, AmCham Abu Dhabi, and AmCham Dubai to promote the shared goal of engaging the private sector in a history-making U.S. pavilion. 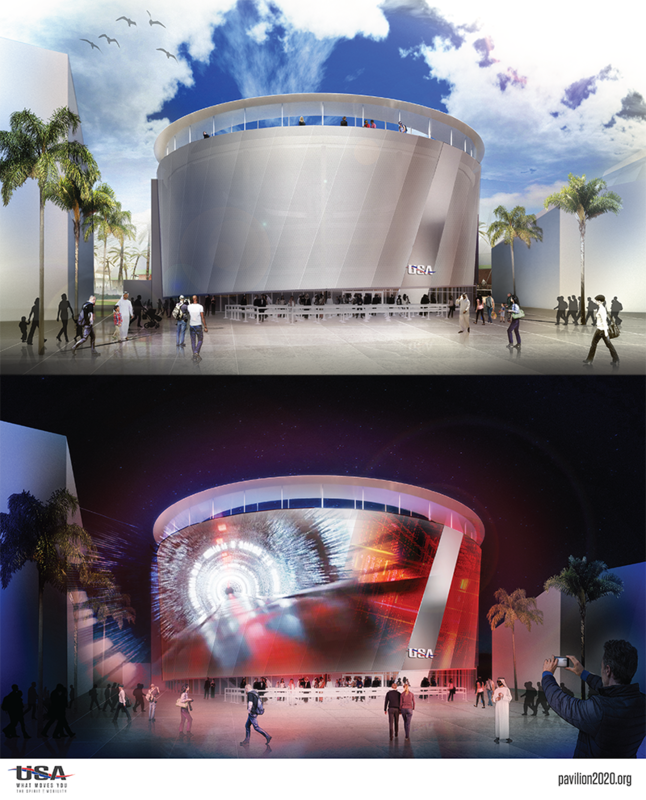 Pavilion USA 2020 also announced its official partnership with California-based Virgin Hyperloop One, which will premiere its Hyperloop ride experience at the U.S. pavilion. Concluding the launch event, Steven Bondy, U.S. Chargé d’affaires at the U.S. Embassy in Abu Dhabi hosted a luncheon for the Abu Dhabi-based U.S. business community. The luncheon provided an opportunity for senior executives to engage with Pavilion USA 2020’s leadership and official partners. For further details about Pavilion USA 2020, visit www.pavilion2020.org. For more information about the U.S. participation in World’s Fairs, including Expo 2020 Dubai, visit www.state.gov/r/expo/. For information on Expo 2020 Dubai visit expo2020dubai.com.